The Parris nightstand compliments the Parris bed perfectly. It has two drawers with powder coated black metal handles. 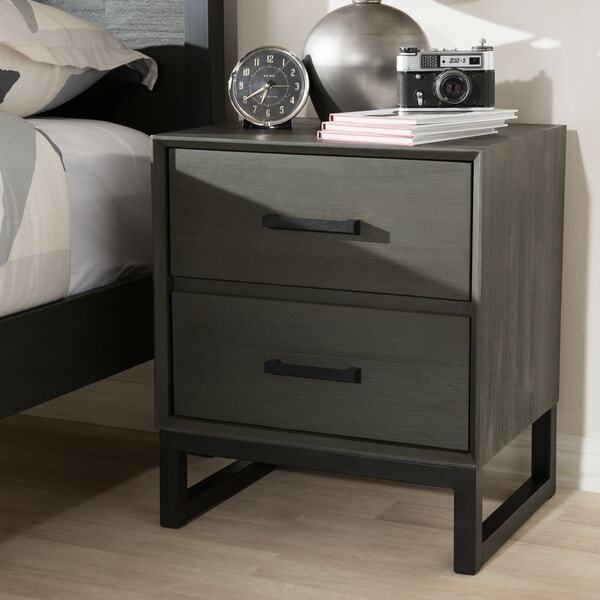 This gives the bedside table ample storage for bedroom essentials. Dimensions 15.75 In. X 19.69 In. X 23.43 In. "I know it says "Distressed rustic grey finishing," but in the photos, it seems to have a bit of a greenish hue to it. Does it look somewhat greenish in person? Thank you."